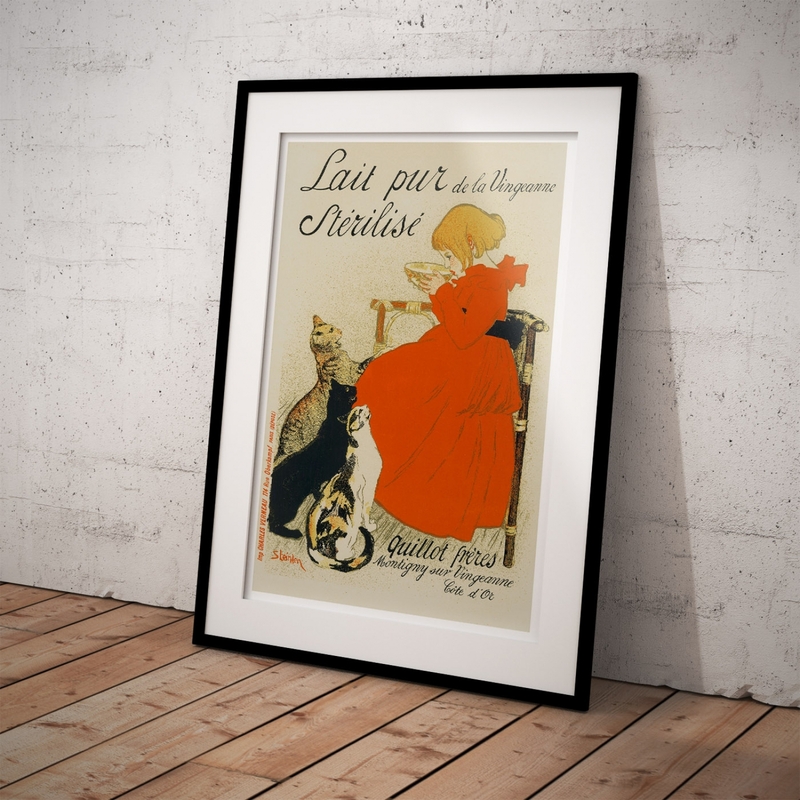 A beautifully illustrated French Poster by Theophile Alexandre Steinlen. 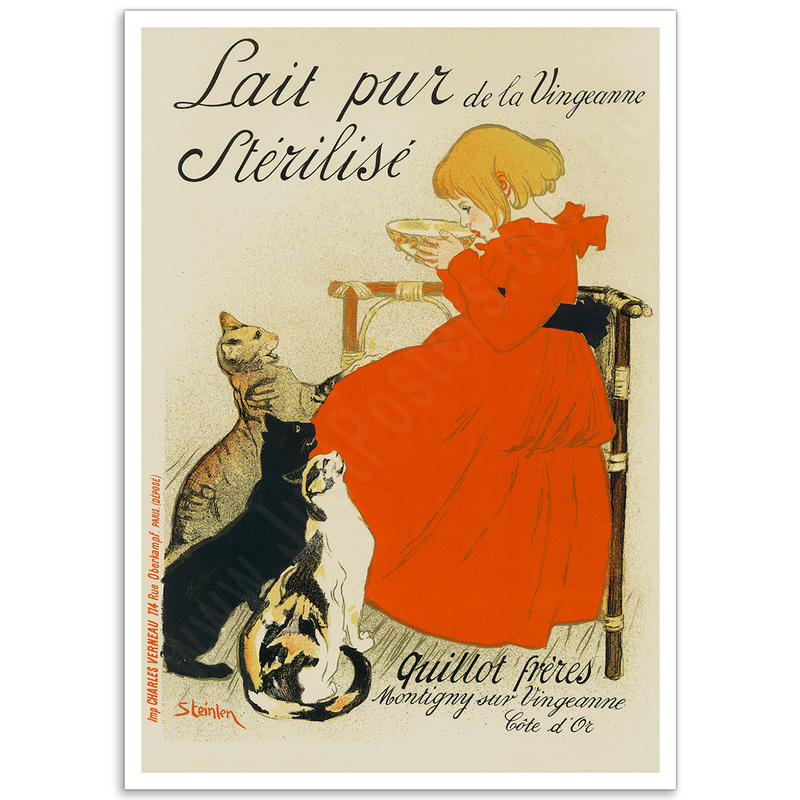 The original artwork was produced for a French Vintage Advertising Poster promoting "Pure Sterilized Milk of Vingeanne”. 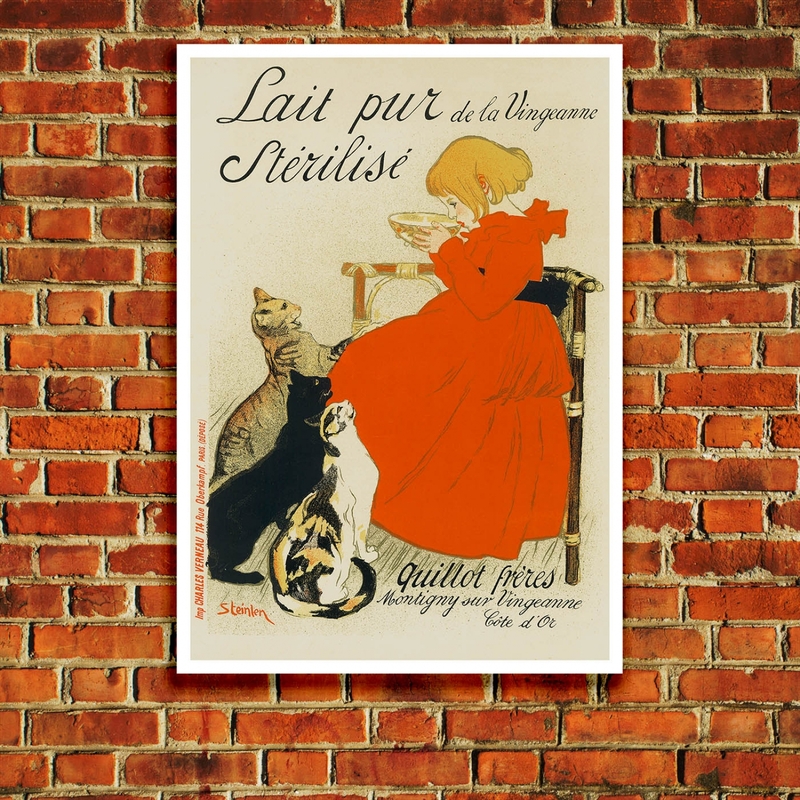 Theophile Alexandre Steinlen, a Swiss/French Art Nouveau painter and printmaker who lived from 1859-1923, is well known for his poster ads and his illustrations of cats. 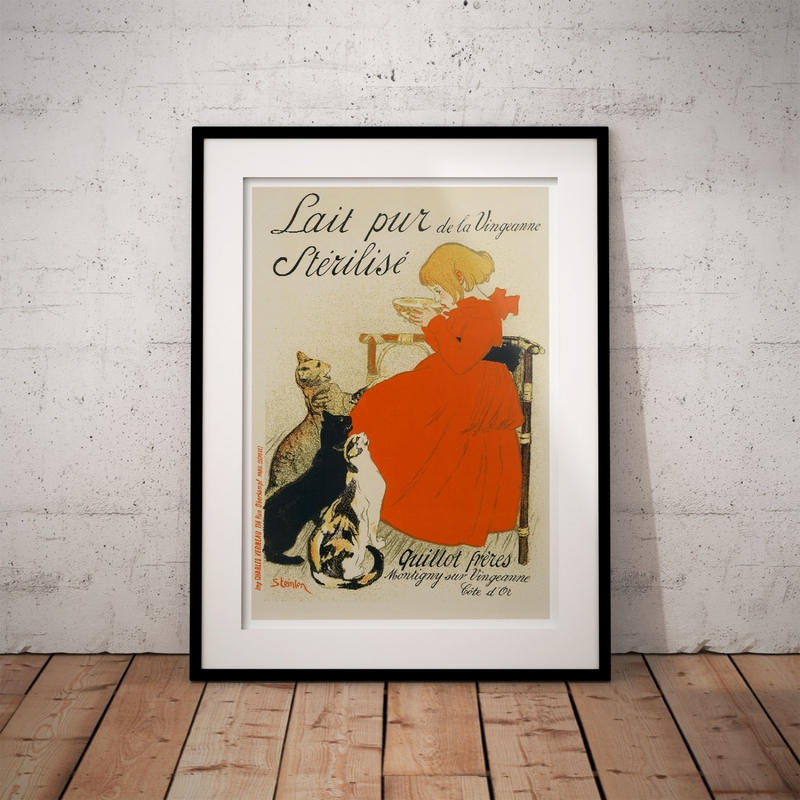 The 'Lait Pur Sterilise by Steinlen' Poster is a reproduction of a Vintage French Poster. 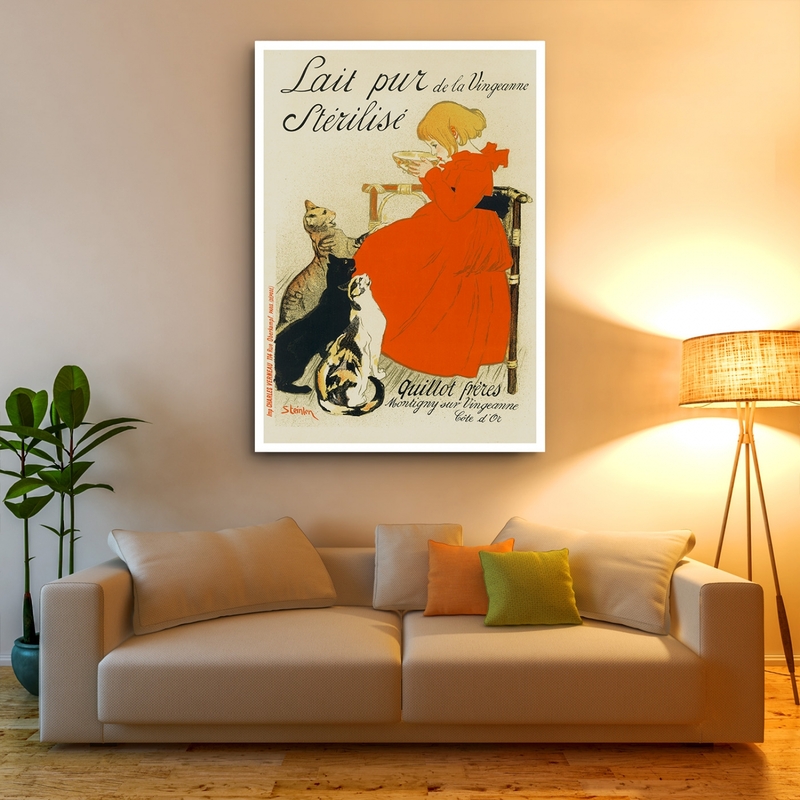 CHAT NOIR - Art Nouveau PosterA beautifully Illustrated Lithographic 1899 Poster. Artist: Théophile ..